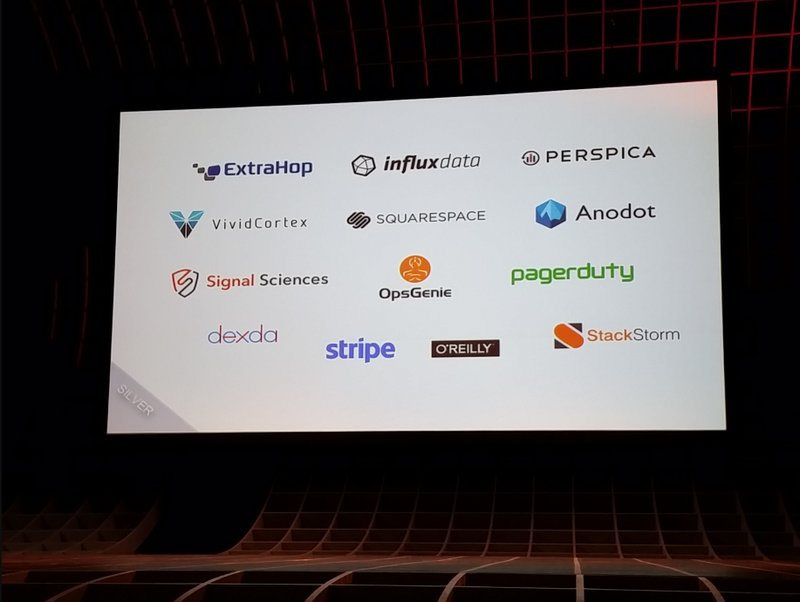 StackStorm is a silver sponsor of Monitorama 2017, and we- along with our great panel from LinkedIn, Sensu, and VictorOps- are looking forward to sharing with you key insights from the show–and to help you build a map for leveraging auto-remediation to optimize your operations. Wondering how to start your automation journey and which tasks you should automate first? Or have you started to automate, and are wondering how to take your automation to the next level? Catch us at the sold out SRECon17 Americas event at the Hyatt Regency in San Francisco. We’ll be at booth #16 ready for your questions, suggestions, and to share our latest integrations. The event runs from March 13 through March 14. See you there! I’ve seen it over and over again. A user puts in a simple request. Nothing elaborate or unusual – just a standard request. It goes into the queue, generates a ticket, and then… nothing. 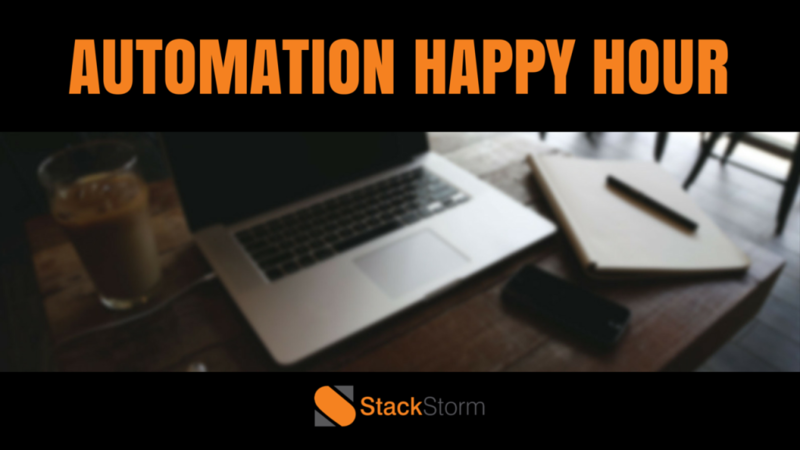 It’s time for our next Automation Happy Hour, the first one as part of Brocade. This is a chance for us to introduce a couple of new team members and dive even deeper into the topic of network automation. Take a listen to hear about Brocade’s roadmap for network automation via StackStorm. If you want to automate your network and integrate with other domains using devops, this session is for you. Come and see how the network can benefit from devops-style automation. This time, we’re bringing in Jon Middleton of Pulsant. He’s a contributor in the StackStorm Community and one of the foremost experts on the topic. These days ChatOps has become all the rage. 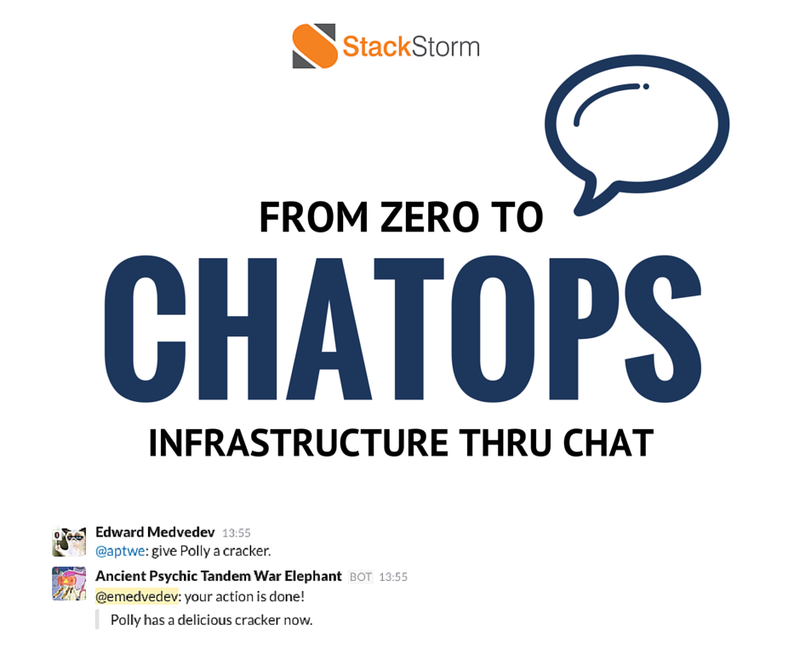 In this blog I’ll talk a little bit about how we came to be here – in a leading position when it comes to ChatOps adoption for operations. And I’ll point you to some resources from users and our own engineers to learn more. The history lesson will be brief, I promise. We started StackStorm after observing that existing solutions in the devops universe were generally point solutions, often evolved from scripts and other projects that DevOps engineers wrote to make their own lives easier. And that’s a great way to build a solution that appeals at least to those types of users for those specific use cases. What we saw was that while there were leaders within certain segments amongst those tools, there was no clearly adopted pattern for the wiring that tied all these tools together. Moreover, with our backgrounds in enterprises we knew that wiring together extremely heterogeneous environments is always a challenge. The enterprise is more a brownfield than a greenfield.